Dear Santa, all runners should get The Marathon Stick under their Christmas tree this year. I reflect back to a year ago where I just got into running and saw everyone raving about their foam rollers like it was a third child . Today, we cannot live without The Marathon Stick and do not leave town without the Travel Stick . 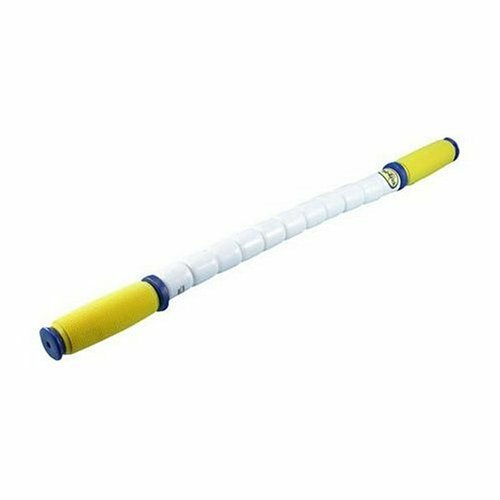 It is 100 times more comfortable than a foam roller and very easy to use. The Marathon stick was designed to massage muscle tissue and encourages increased circulation to muscle fibers before exercise, disperses lactic acid after workout, and diffuses muscle stiffness and knots. Before we purchased The Marathon Stick off of Amazon, we were having issues. Gabe's was his ankles, mine were my knees. It's also been known to help IT Band issues, quads and calves, working by segmentally compressing and stretching muscles through self-massage. If you are a runner, you want to give the Marathon Stick a try! The Marathon Stick is Boo-Kitty tested and approved!